When you think of the franchising industry Millennials probably aren’t the first thing that come to mind. Many of us would go straight to thoughts of Mum & Pop partnerships formed out of a desire for a flexible working lifestyle and a business they can call their own. However, the franchising model and Millennials have a lot to offer each other, and could just be the perfect partnership. Whilst the most obvious reason to entice Millenials to get involved in the franchise industry is the fact that someone has to take over the hundreds of franchise businesses currently operated by franchisees approaching retirement, there are so many other reasons the industry could be a good fit for the countries youngest entrepreneurs. Employment opportunities for young people are few and far between, and as a result new businesses and start-ups are popping up everywhere as Australia’s youth try to find their place in the workforce. It is well known that Millennials have taken a different approach to employment than the generations that came before them, and one of the major differences is the importance placed upon work-life balance. Striving the find a lifestyle that allows flexibility and versatility whilst also providing a level of stability and independence, Millennials may just find that franchising is the right fit for them, so why are there so few in the industry? The reason is a combination of two things, the first being that many franchise brands have failed to realise the benefits of bringing Millennials into their business, and the second being that those who have, aren’t quite nailing the marketing. Slowly but surely young entrepreneurs are starting to invest in franchise businesses, however the uptake has been slower than the generations that came before them, partly due to a lack of interest from franchisors recruitment teams. Many franchisors see Millennials as a risk, widely known for their short career tenure as they search to find a role that gives them purpose. The media shines these attributes in a negative light, however in an ever-competitive business landscape, drive and ambition to succeed could bring new life into plateaued franchise brands. Another important consideration for the long-term success of a franchise brand is its ability to adapt and grow. Bringing younger franchise partners on board can help businesses achieve exactly that. Technological innovations continue to play a major role in almost every industry across the globe and franchising is no exclusion. It is vital that brands are able to navigate their way through the changes brought on by such innovations, and who better to guide a brand through this new landscape than the generation that fueled the change. Millennials are the first generation who could be considered digital natives, and the skills they bring with them in the space are an invaluable contribution to a sustainable business model for the future. So, why are franchise brands that see the benefits of Millennial franchisees struggling to get them to invest? Many may think a lack of savings, or an inability to get a loan may be a major barrier. However, many Millennials are struggling to find a franchise brand that connects with them, and it’s not because they aren’t out there. Franchisors simply don’t know how to market to Millennials. As a generation who learnt to tune out sales pitches, approaching with a hard-sell tactic isn’t going to work. Millennials don’t want to be sold too, they want access to information so that they can make a purchase decision when and where it suits them, an approach franchise recruiters haven’t necessarily adapted too. As when marketing to any audience, it is important to reach people where they spend their time, for Australia’s youth that is websites, blogs and social media. This is where the next generation of business owners are looking for opportunities, and franchise brands simply aren’t utilising the platforms very well. 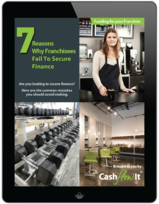 Ultimately, Millennials are a great fit for the franchising industry in more ways than one. Whilst brands benefit from an influx of young talent with a new and different skill set to their existing network, Millennials are able to invest in a stable career opportunity that comes with the flexibility and independence of self-employment.